Following World War II, many countries experience a “baby boom” as returning veterans marry and start families. The U.S. baby boom was a period of remarkably high fertility rates that lasted nearly two decades, from 1946 through 1964. During this period, there were 76 million births and fertility increased to a lifetime average of more than 3 children per woman. 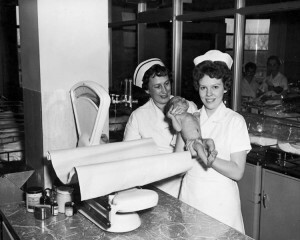 At its peak during the late 1950s, the fertility rate reached nearly 3.7 births per woman.